The members of Project JMIFET organised their first ever orientation session for the fresher students on 9thAugust, 2011. 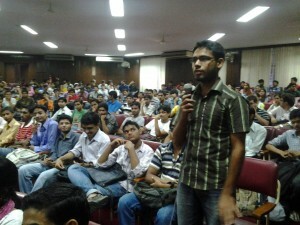 It was held in the auditorium of the F/O Engineering & Technology from 12:30 pm to 1:00 pm, and was attended by the first year students of all the branches. The purpose of the session was to introduce the concept of the initiative to the new entrants and explain the vision behind its setup. 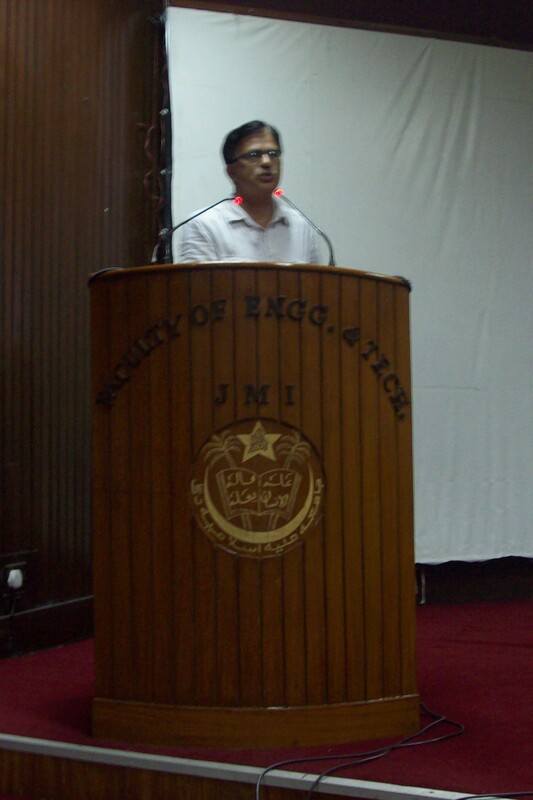 The session was started off with an introduction by Dr. Majid Jamil, Training & Placement Officer, who briefed the attendees on the initiative, stressing on the opportunities it offers and urging them to avail the benefits being offered. He also shared placement statistics for the last year and also shared his enthusiasm about reaching out to more corporates and PSEs this year, such as Indian Navy and Maruti. 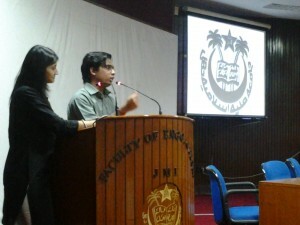 It was followed by the Mentorship Project, witnessing a talk by two alumni of the Faculty of Engineering and Technology. Ritika Subhash, batch of 2007, working with Hay Group, and Samir Sharma, batch of 2010, working with BHEL. The aim of the Mentorship Project is to unlock the power of the alumni network for the benefit of the present students. They explained the Project to the students with the aid of a presentation, showcasing the progress made in the Community portal, Knowledge repository and the outlay of the various committees. Encouraging the students to participate and involve themselves, they finally unveiled the RnF IT Innovation Cell, a subsidiary of the Bangalore based startup by Raghib Khan and Faisal Abbas, alumni of the 2007 batch. It shall aim to provide funding and guidance to the entrepreneurial ventures of the students of the faculty. Also, as a part of the Mentorship Project, ex-students Saleem Ansari and Mohd. Asif, have taken up the initiative, ‘Code to Learn’, to mentor current students of the Faculty with their final year technical projects. At the conclusion, an interactive round was held, where the students asked questions relating to career issues. The alumni advised them accordingly, based on their first-hand experience they had gained during their years at the faculty. This entry was posted on Tuesday, August 16th, 2011 at 6:11 pm	and is filed under Housekeeping, Project Updates. You can follow any responses to this entry through the RSS 2.0 feed. You can leave a response, or trackback from your own site.